The end of the summer has gotten away from me! I often post process pictures on Instagram but I don't go much into writing (because it's kind of crazy on IG to write a lot on a little tiny phone). And I love writing. So expect to see more of that here now that summer is over. Plus, I'm working on more Top Ten Tips posts! 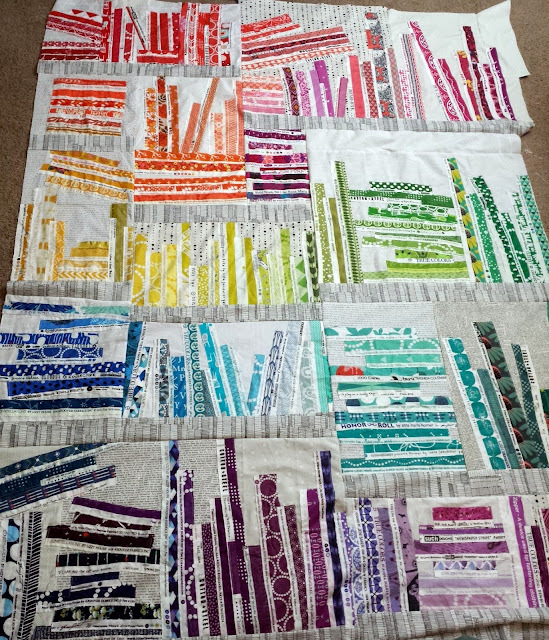 I'll start by describing how I made my selvage bookcase quilt top, which I finished last night. I am SO excited about this project! I've been chipping away at it little by little since the beginning of the Selvage Along. Now, I'm just trying to decide on a backing. I took some in-progress photos as I worked on the blue section, so I'm including a mini tutorial in this post! I sewed this top together in a haphazard, improvisational manner (my favorite); I used the low volume and white on white prints of different sizes as my background and selvage foundation. That is, I sewed my selvages directly onto it. This would be a great project to "quilt-as-you-go," though I did not do it that way. I sewed together starting from red and ending in purple. I did not know exactly what the final quilt will look like, and I had to use a couple of partial seams to sew it all up. It was worth it! 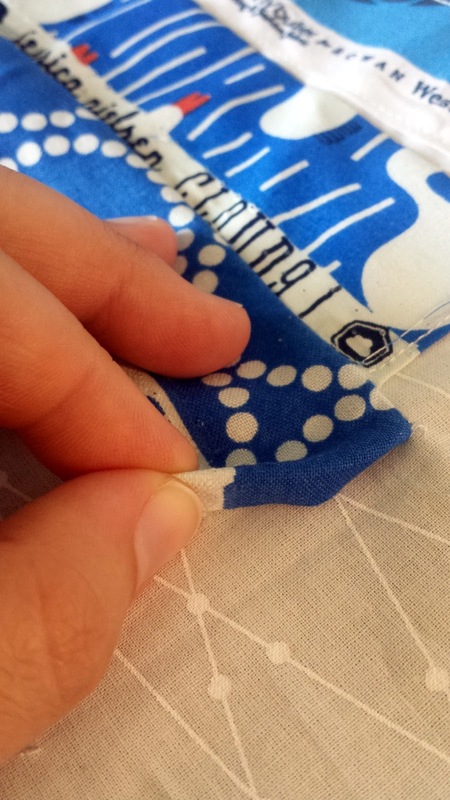 There are a few ways to sew selvages together, and I'm going to explain the two main ways I did so on this quilt. The first way is to stitch and flip. 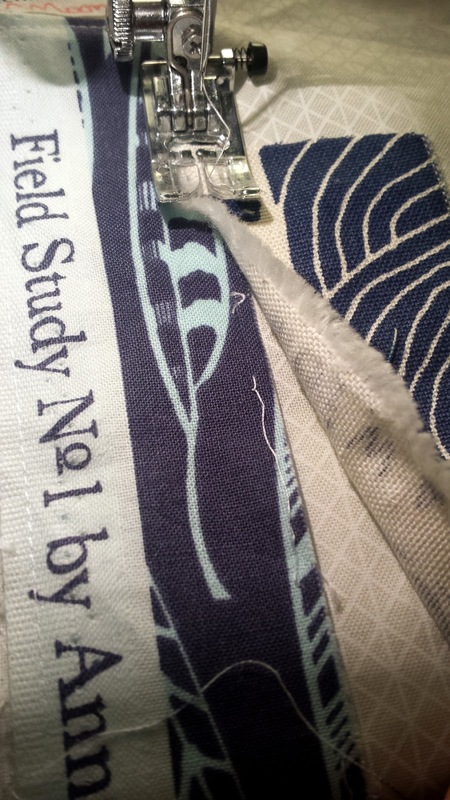 This selvage is connected to a selvage I had already sewn down (although you can't see it in the above picture). First, I placed this one right side up on the fabric to lay a certain way (wonky or straight?). Then, I flipped it over so the only edge that could fray (the cotton with the design, not the white end with the text) was closest to my machine. I stitched a quarter inch seam (like in the picture), flipped the selvage over, and hand pressed it down. 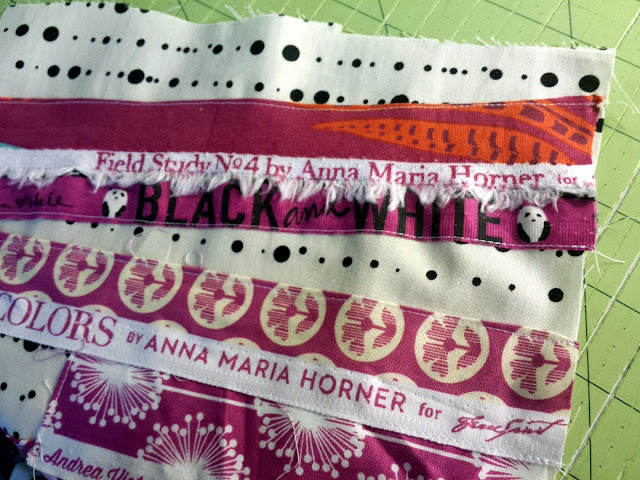 You should press with an iron but this is much faster when you are sewing a bunch as once. I always press after a block is finished, too. Here, I sewed the selvage on the right onto the feather selvage (about 1/8th of an inch away). I lifted up the fabric so you could see where I would be sewing. You can also see that the feather selvage was sewn on in the same manner. I hope you are inspired to experiment with your selvages! There is no right or wrong way to do it. Just have fun! Congratulations on getting the top pieced - it looks great and like it is a great sized quilt. I really like how each color / shelf is slightly different; it makes it a really interesting and fun design. Super cute quilt idea, thanks for the tutorial! Really cool. I'm sewing selvages every day, but I should have had more time. What a wonderful idea! =) Love the scrappy colors! I am also visiting from Freshly Pieced's link up! Aloha! It's great! This would be the first selvage project I have seen that I really liked. Thank you for sharing a new way to use these. What a cool idea, Jessica. I know just the person who would love a quilt like this. Pinning for future reference. I've seen books arranged by subject, and alphabetically by author, but never by color. What a fun surprise! I love it. I like this. 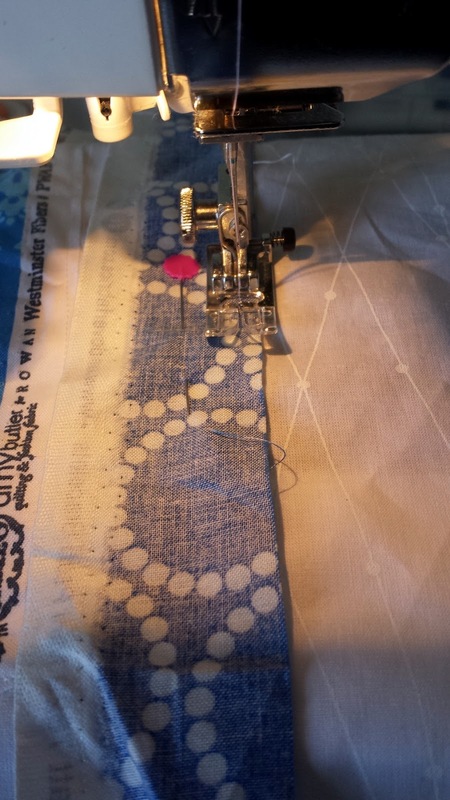 It's a way to use the smaller selvages from fat quarters or fat eighths. Thanks. I this so much! A wonderful bookshelf, made out of some of your favorite titles, rainbow organized, and made out of fabric! Gah. Very fun and bright. Beautifully done! As a book lover i'm drawn tomthis quilt... time to start saving my selvedges i think! Oh that is looking great!